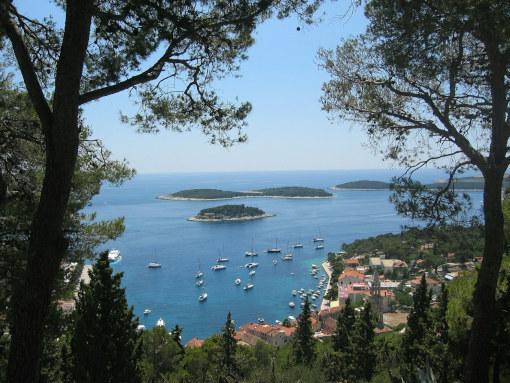 The most beautiful of 1244 Croatian islands and the most widely known is the Island of Hvar. For years it has been known as the sunniest Croatian island, as well as the sunniest place in Europe! Hvar is a favorite summer destination for tourist from all over the world. And it’s only natural since Hvar has it all – rich in culture, beautiful architecture and UNESCO heritage, with best beaches and tasty food… the list just goes on and on! The Island of Hvar is located in the Croatian part of the Adriatic sea. With the area of nearly 300km2 and the population of 11.000 residents, it is the 4th largest and the 4th most populated of the Croatian islands. 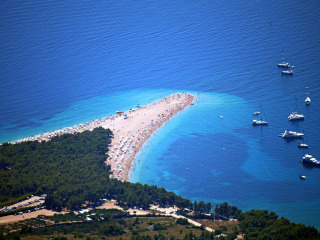 Since Hvar is situated in the Central Dalmatia region, the closest cities on the Adriatic coast are Split and Makarska. Ever since the ancient times, the Island of Hvar had an important strategic position in the Adriatic. In the 4th century BC, the ancient Greeks colonized the island and founded the colony of Pharos there, which means lighthouse in Greek. The colony stood on the site of today’s Stari Grad, making it one of the oldest towns both in Adriatic and in Europe! The name Pharos was later adopted as a name of the entire island, and today’s name Hvar is actually a derived form of the same name. Not only was it a major naval base, but Hvar was also the center of Croatian Renaissance literature. It was a home of Petar Hektorović and Hanibal Lucić, two of the most notable Croatian writers. Even today, the tourists can visit the beautiful villa in Stari Grad that once belonged to Hektorović. During the centuries, the Island of Hvar was a part of Roman Empire, Byzantine, Republic of Venice, Habsburg Monarchy, and Yugoslavia. Nowadays, Hvar is one of the most visited places in Croatia. It has a tradition of 150 years of organized tourism and offers a wide range of sights and activities. With its unique beauty, architecture, beaches, and nightlife, it is a favorite summer destination both for families with children and for young people looking for fun. The Island of Hvar is one of the most beautiful Adriatic islands. With a long history and rich culture, it is one of the main tourist destinations in Croatia. The number of visitors increases year after year, but so does the tourist offer on the island. Not many people know that, but Hvar is also an island with the most UNESCO heritage in the world, which includes both heritage sites and intangible heritage. Below is a list of main places to visit while on the island! Stari Grad, in translation – The Old Town, is the oldest town on the island and one of the oldest in Europe. It was founded in 384 BC as a Greek colony of Pharos. For centuries it has been the main political and cultural center on the island until town Hvar took over its name and assumed this function. The town is situated at the end of a deep bay, which makes the port of Stari Grad one of the safest in the Mediterranean. Stari Grad is a small town with a long history, full of picturesque streets and squares, with traditional Mediterranean stone houses and lovely stone churches. 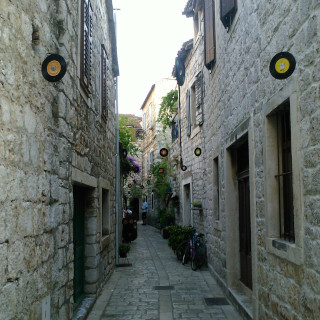 The historic center of Stari Grad is a UNESCO world heritage site. Among the many town’s attractions, you can visit the remains of the city walls, dating back to the 4th century BC, the early Christian church of St. John, the Dominican monastery of St. Peter the Martyr from the 15th century, and the fortified Tvrdalj castle from the Renaissance period. The Tvrdalj castle was a home, and a project, of the famous Croatian poet Petar Hektorović. With the fishpond surrounded by beautiful stone arcades, a tower, and a garden full of different plants, this castle is a real work of art hidden behind a simple stone facade. Hektorović built his castle throughout his entire life. Since he was a poet, the walls of the castle are full of stone inscriptions in Latin, Italian and Croatian. Located in the town’s center, the Tvrdalj castle is the most famous building in Stari Grad and a must-see for every visitor of the island. Just across the street from the castle, there is a Stari Grad Museum. Housed in a neo-Renaissance palace, the museum tells a story of a long and rich history of this town, with many artifacts that witness its glory. Just outside the town, you can visit the Stari Grad Plain. This large cultured landscape, that occupies the central part of the island, was inscribed on UNESCO List of the World Heritage in 2008. The plain is a result of centuries of human labor. Ever since the Greek colonization period, these fields have been covered with vineyards, fig trees, almond trees, olive trees, and lavender. The City of Hvar is situated on the southern side of the island, the one facing the open sea. Because of its great position in the center of the Adriatic routes, Hvar was an important Mediterranean port for many centuries. It has been the island’s center since the 13th century when it took over the role from the town of Stari Grad. Today, the city of Hvar is one of the finest examples of coexistence of cultural and historical offer and modern consumerist offer. That is why this beautiful and full of life town attracts so many tourists. There are many sights to visit in Hvar. Among the others, there are several fortresses around the town. The most famous one is the Fortica fortress, popularly called Španjola. The Venetians built it in the 16th century when the island was under the rule of the Republic of Venice. The fortress is situated on the hill above the city, only 20 minutes on foot from the main square, and it gives the best panoramic view of the city and its surroundings, including the Paklenski Islands. The main square, square of St. Stephen, is located right next to the port of Hvar. With the area of 4500m2, it is the largest square in Dalmatia. At the end of the square, which is covered with marble stone slabs, stands the Cathedral of St. Stephen – protector of the city. The cathedral is built in Renaissance style, with a Gothic tower standing next to it. On the other side of the square stands the ancient Arsenal from the 16th century, a place where galleys were repaired. In the 17th century, the Arsenal was converted into the first public theatre in Europe, that still operates today. Another interesting place to visit is the Benedictine Convent. The value of this place lies in the long-lasting tradition of agava lace making. The nuns have been passing this skill on from generation to generation, and their secret has been kept behind the convent walls for more than 100 years. Agava Lace was publicly recognized and inlisted on UNESCO List of Intangible Cultural Heritage in 2009. Besides the above-mentioned sights, there are also many old palaces around town, as well as some beautiful churches, that are worth a visit! The Island of Hvar is mainly a summer destination, but the tourist season lasts longer and longer each year. It begins in April and ends in October, with July and August being the peak of the tourist season. With 2800 sunshine hours per year, Hvar is the sunniest Croatian island. It has a Mediterranean climate, with hot dry summers and mild winters. The average summer temperature is around 30°C, but it can go as high as 40°C. In the winter, the temperature is usually between 5 and 10°C and it (almost) never snows. However, there is a cold northern wind that blows all year round, called Bura, that makes winters (and summers!) seem colder than they really are. The sea temperature usually stays between 23 and 25°C in the summer, while it is around 15°C during the winter. 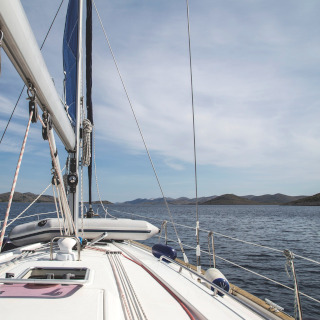 The Island of Hvar offers a wide range of activities both at sea and on the land. From exploring the depths of crystal Adriatic sea to cycling over the hills and partying all night – everyone will find their kind of entertainment on the island. No one comes to Hvar just to enjoy the beautiful architecture. After a few hours of sightseeing in the sun, you will definitely need a refreshment. And what is more refreshing than a beautiful blue sea? There are more than a few dozens of beaches to choose from, but the most beautiful ones are located on the Paklinski Islands, near the town of Hvar. It’s one of the places you just have to visit during your stay on Hvar. The Paklinski Islands are also a protected monument of nature, so you will enjoy the beautiful nature, as well. It is well known that the Adriatic sea is among the cleanest in the world. Just a look at the crystal clear blue waters is enough for you to want to immerse yourself into it! There are several beautiful diving spots near Hvar, especially around the Paklinski Islands. 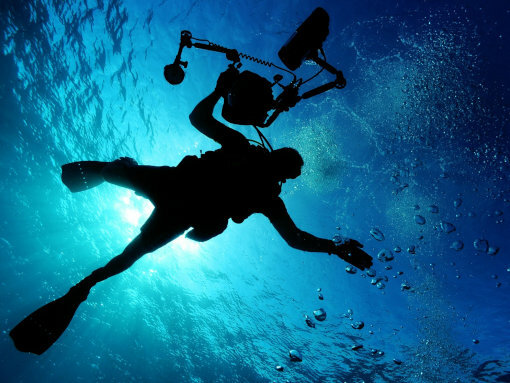 Whether you are an experienced diver or you just want to try it for the first time, the Island of Hvar is a perfect place to do it. Check the link and plan your trip under the surface! Croatian coastline is the most indented in the Mediterranean. With 1244 islands and many more coves and bays, it attracts boaters from all over the world. There are several marinas situated along the shore. Among the others, there is a marina in the port of Hvar and the one in the port of Stari Grad. 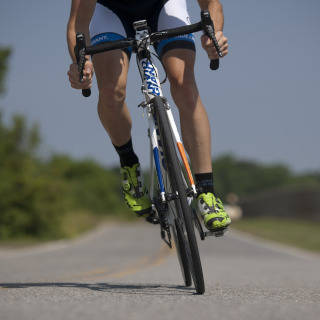 In the last couple of years, cyclotourism is gaining more and more attention. The same happens on the Island of Hvar. The island is 68 km long and 10 km wide. With 98 km of paved roads and another 50 km of macadam roads, Hvar is a perfect destination for this type of active holiday. For a closer look at all the available routes, follow the link. 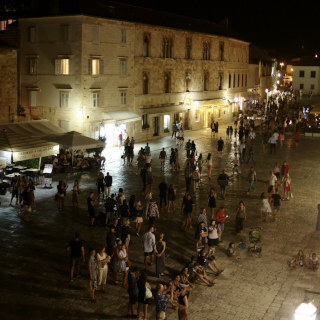 The City of Hvar is famous for its nightlife offer, which is often referred to as the best on the Adriatic. In the evening, you can enjoy various street concerts, performances, and exhibitions. All the restaurants and souvenir shops are opened till the late hours, as well. If you are up to partying all night, don’t worry – Hvar has a lot of nightclubs, too! Plan your trip in advance! A great number of tourists visit Hvar in the summer and, since the ferry and catamaran boats carry a limited number of passengers and vehicles, you don’t want to be the one waiting for hours for the next boat to come. The Island of Hvar is located in the Central Dalmatia region, in southern Croatia. Since there is no bridge that would connect the island to the mainland, the only way to get there is by boat. You can either choose a ferry or a catamaran boat to get to Hvar – depending on where you are staying and whether you come by car. The ferry, as well as catamaran, departs from Split, so please note that you have to get to Split first. The nearest airport is also the one in Split, but there is an airport in Dubrovnik, Zadar, and Zagreb, as well. If you are departing from Zagreb, the capital of Croatia, you should first decide on how you will get to Split. There are several options for you to choose from. The fastest way is by plane, but you can easily get there by car, as well. If you get on the A1 highway in Zagreb, you will be in Split in approximately 4 hours. Once you are in Split, you should find a marine and hop on a ferry or the catamaran boat. You can check the section below to find out how to reach Hvar from Split. The Island of Hvar and Split are very well connected. Especially during the summer, when ferry and catamaran rides are even more frequent, due to an increased number of passengers. The ride with a ferry lasts about 2 hours, while catamaran is a bit faster and can get you to the island in about an hour. 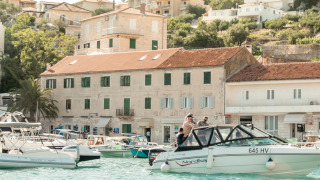 There are two ferry lines available – the first one connects Split and the City of Hvar and the other one connects Split and Stari Grad. Catamaran, on the other hand, connects only Split and the City of Hvar. For more information and a detailed schedule, follow the link. If you are heading to Hvar from Dubrovnik, there are two options for you to choose from. The first one is to drive to Split and then take a ferry or catamaran to reach the Island of Hvar (check the section above). The other option is to get to Drvenik and take a ferry from Drvenik to Sućuraj (Hvar). If you want to reach the City of Hvar or Stari Grad, you will need to drive another hour across the island. There are two lines that connect Italy and Central Dalmatia. The first one is the Ancona – Split line, and the other one is Ancona – Stari Grad, but they both operate only during the summer. 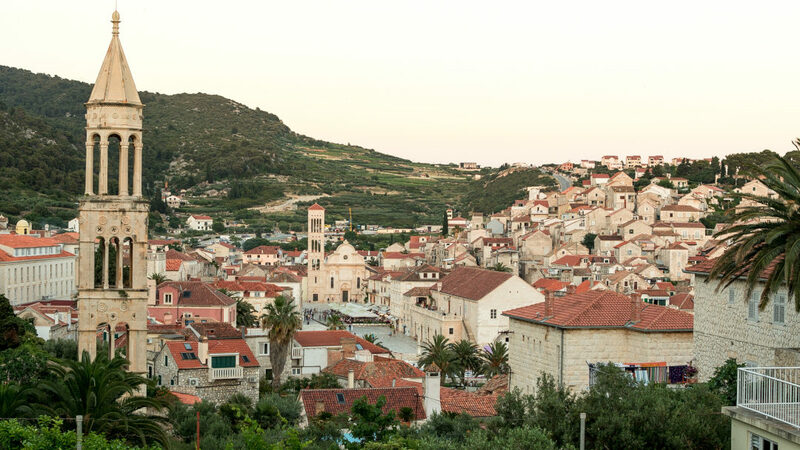 Since Hvar is only 68 km long, you can easily visit more than one town during your stay on the island. If you came to the island without a car, there is a possibility of car rental in the city of Hvar or Stari Grad. However, there is also a local bus that connects Hvar, Stari Grad, Jelsa, Vrboska and Sućuraj, which is convenient for a one-day trip. If you want to find the hidden beaches or explore the quiet bays, there is a taxi boat, as well, that can take you wherever you wish to go. 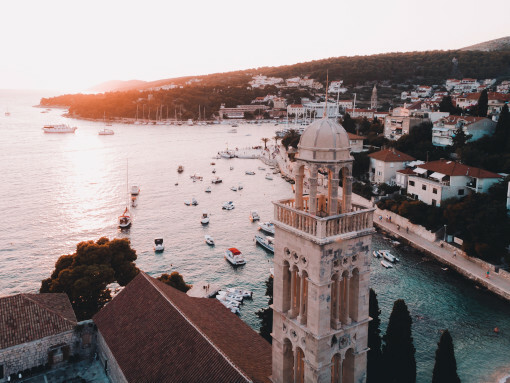 The Island of Hvar is also connected to the nearby islands of Brač (by ferry), Vis (by ferry), and Korčula (by catamaran), all of which are worth a visit. 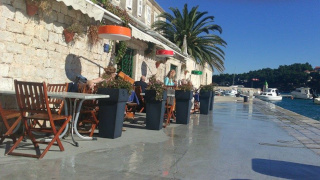 The Island of Hvar has a great infrastructure and offers all sort of accommodation. 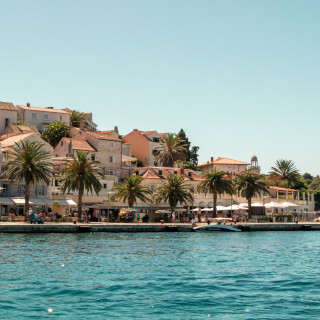 Whether you are staying in Hvar, Stari Grad, or in one of the smaller towns by the sea, there are a lot of hotels available, as well as private apartments. Hotel Park is located in the very center of town Hvar. 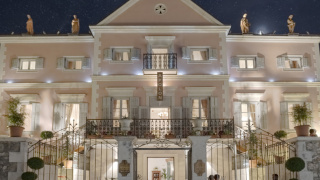 Situated in an old stone palace, that once belonged to the rich local family, it is the only heritage hotel in Hvar. The hotel was thoroughly renovated in 2006 and has only 15 suites. However, it offers a full service. There’s also a restaurant and club at your disposal, where you can even get a discount as a guest of the hotel. Check it out here. Hotel Villa Dalmacija is located in the Hvar bay, close to the harbor, and just 5 minutes walk from the city center. The hotel is housed in an old stone building, with a beach right in front of it. The rooms and suites are cozy and equipped with everything you might need. There is also a beach lodge annex to the hotel that offers the affordable accommodation for younger guests. Follow the link for more information. Heritage Villa Apolon is located in the center of Stari Grad, right by the sea. This antique villa was redesigned into a modern hotel with six suites, a restaurant, and a wine bar. Since it has a small accommodation capacity, the service is at its highest level. Each suite has a sleeping room, living room, and a bathroom, all decorated in the contemporary style. You can find out more here. 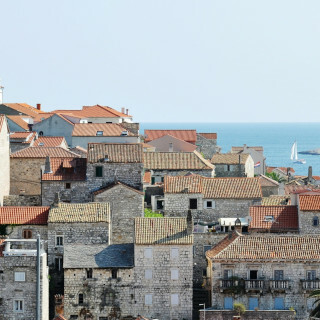 If you want to experience the real charm of the Mediterranean, consider booking a private accommodation in one of the old town stone houses, that are now available for rental both in Hvar and in Stari Grad. Book your accommodation months ahead, because it’s all booked out during the high season. The Island of Hvar is known for its excellent gastronomic offer. Based on the Mediterranean cuisine, with a dash of traditional Croatian cuisine, it offers a real gastronomic delight! Mediterranean diet was inscribed in the UNESCO list of the Intangible Cultural Heritage of Humanity in 2013. The countries that were recognized are Italy, Spain, Portugal, Greece, Cyprus, Morroco, and Croatia, with Hvar and Brač being the representatives of Croatia. The typical cultures that local people grow on the island are olive and vine. But, except for olive oil and wine, the island is also famous for its honey products and delicious cookies called Starogrojski paprenjoki, which they make from honey and prošek wine! Steak&Fish House Dalmatino is a centrally located restaurant, situated near the port of Hvar. 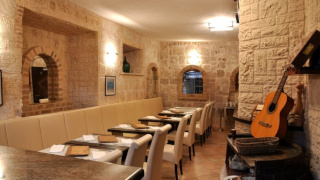 It is specialized in Mediterranean and Croatian Cuisine. With tasty food, top notch stuff, and reasonable prices, it is a favorite place for both tourists and locals. More information is available on the link. 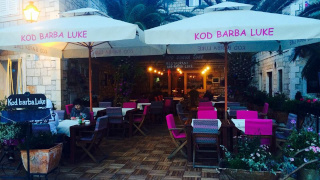 Kod Barba Luke is a family restaurant with a long-lasting tradition. 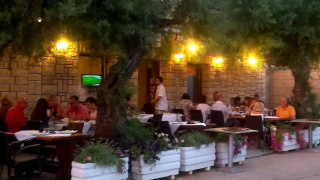 Located near the boardwalk, on the Hektorović city square, it is run by a family of local Stari Grad residents. The restaurant offer is based on Mediterranean cuisine, with the best local products and fresh seafood. Follow the link to find out more. Located in the harbor in the old part of the town, Me and Mrs. Jones is probably one of the best restaurants you will eat in. The restaurant offers traditional Mediterranean dishes with a modern twist. The great food is accompanied by an extensive wine list from the local producers! More information is available here. Fortica is a small family-run restaurant, located on the boardwalk in a town of Sućuraj. Along with a beautiful view of the sea, the restaurant serves daily fresh seafood. Besides the traditional seafood dishes, Fortica restaurant also offers Mediterranean dishes and barbecue. Follow the link for more details. Bear in mind that the prices on the Croatian coast are always a bit higher than in the continental part of the country. Don’t be surprised when you get your check! As the Island of Hvar is located in the Central Dalmatia region, there are a lot of beautiful places to see and visit nearby. 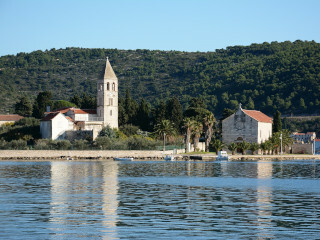 The closest larger city is Split, with which the island also has the best connection. Otherwise, you can pay a visit to one of the nearby islands – each one of them is more beautiful than the other! The city of Split is the second-largest city of Croatia and the largest Dalmatian city. The historic center of Split, along with the Diocletian’s Palace, was included into the UNESCO List of World Heritage Sites. It is also one of the places where The Game of Thrones was filmed! The City of Split has the most famous boardwalk on the Croatian coast – the so-called Riva, which is full of restaurants and cafés. Full of archaeological monuments, old stone houses, and narrow streets, this old town is a real work of art and a must-see for all those who are visiting the region of Dalmatia. Another beautiful Croatian island is the Island of Brač. Located between the Island of Hvar and the coast, this beautiful green island is a home to the most iconic Croatian beach – Zlatni rat. 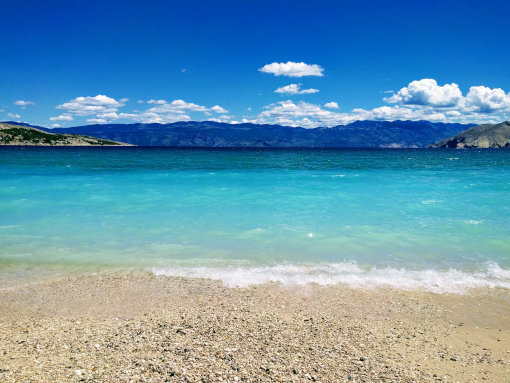 The beach is situated on the southern side of Brač, in the town of Bol, and it is one of the most beautiful natural attractions of the Adriatic. The crystal-clear sea, thick pine wood, and silky sand beach await for you. Since Brač is also the Croatian representative of the Mediterranean cuisine, all that is accompanied by great local food and wine! The Island of Korčula is architecturally speaking probably the most beautiful one in the Adriatic. The walled old town of Korčula reminds the historic center of Dubrovnik a lot. It is believed that Marco Polo, the famous Italian explorer, was born right here on the island – you can even visit his family house in Korčula! There is also an exhibition open for visitors, where you can learn everything about the life and journeys of this great explorer. The island is full of natural beauty, as well. With a lot of greenery and the indented shore, it hides a lot of surprises! Vis is one of the Croatian islands that is still very much preserved and not that many tourists know about it. It is a place of beautiful untouched nature, even more beautiful beaches, and friendly local people. It is also a place that is gaining more and more attention since the musical Mamma Mia used it as the filming location. There are several little islands near Vis, that you can also visit, such as the volcanic island of Jabuka, known as the most remote Croatian island, or the famous Blue Cave on the island of Biševo. Marzito organizes day-trips or transfers to the Island of Hvar from Zagreb, Zadar, Split, Dubrovnik, or any other town. Explore our offers here.